The player for Cherry Pill Music Productions has moved. When a jazzy-blues-playing boy meets a classical-songwriter-girl, the result is a musical match made in heaven. Meet Cherry Pill; a husband-and-wife team who explore their shared passion for music by performing their eclectic brand of music, which ranges from foot-tapping Gypsy jazz to delicate folk and everything in-between. 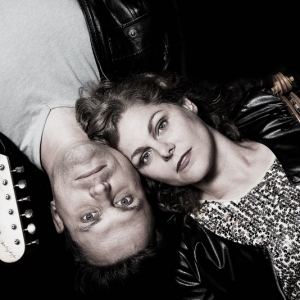 Expect thoughtful lyrics and sweet vocal harmonies, underpinned by the soaring melodies of Kristel's classically-trained violin playing and Rory's blues and jazz-infused guitar licks. Cherry Pill is a metaphor for life - the sweet and joyful mix with the bittersweet moments to create a rich experience full of twists and turns. Cherry Pill Music is the operating label for the music of Cherry Pill (band) and the solo projects of Kristel Birkholtz . Based in South Africa, Cherry Pill Music records the original music of the band and arranges live performances.